OWEN SOUND, ON – Kilannan Brewing has announced the release of a new limited edition beer to mark the 2nd anniversary of the brewery. Xanadu is our tribute to excess. Brewed with loads of roasted malts there is a great roasted character supported by notes of caramel with supporting hop bitterness. It is then aged in Kentucky Bourbon barrels for 6 months, which adds very noticeable bourbon character of oak and vanilla. Enjoy from a snifter, you won’t want to put it down! 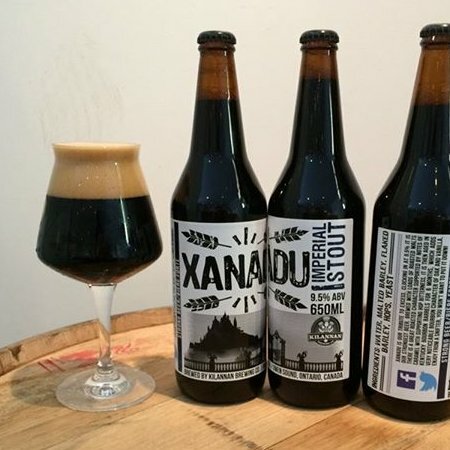 Xanadu is available starting today at the Kilannan retail store priced at $10 per 650 ml bottle.